How to Evaluate Positions like a Grandmaster? There is nothing worse than playing in the last round game, hoping for a big win, those rating points, perhaps even a championship trophy... and making a devastating mistake that throws off the game because of a single 'mis-evaluation'. You play the moves and don't even know it's already over. And then, a few moments later you suddenly realize what has happened. It's dead lost, even though you were winning. You picked the wrong line. You are desperate to "rewind" few moves back and correct the mistake. You feel the pain and resign. Those are the things that keep us up at night. You can't fix the past. However, you can alter the future and the outcome of many of your games, by working on your evaluation skills. 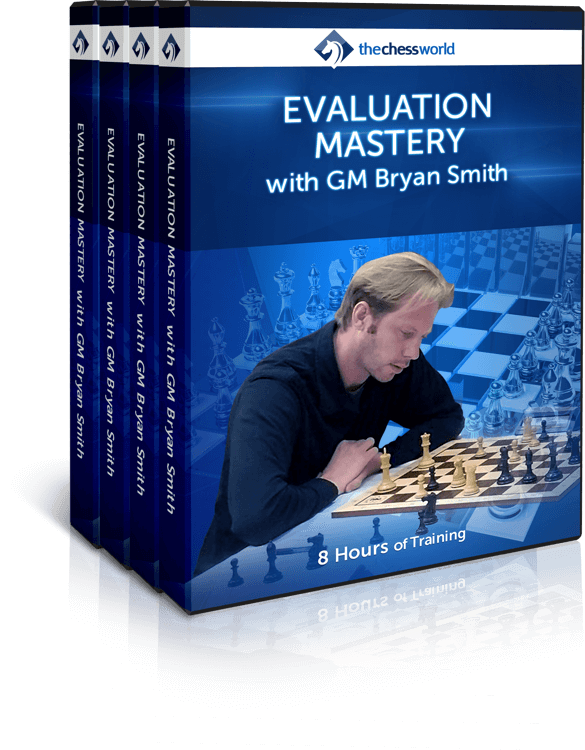 Evaluation is one of the most crucial aspects of thinking and decision making in chess. What both players are fighting for? Where is the battle taking place? Which advantages and disadvantages each side has? That's how GMs do it. And that's how you should do it as well. This approach SIMPLIFIES the whole thing and makes finding the right moves a breeze. If someone ever asks you to take on anything MORE complex than that, run in the opposite direction. Because every strong player I have ever come in contact with has thrived when they got serious about keeping it simple! These very techniques have helped GM Smith and his private students win many games against the toughest competition. The few hours spend on understanding ideas presented in this course will probably be your most valuable investment in chess. In this 21-lesson video course, GM Bryan Smith shares a very powerful methodology for evaluation of positions based on 4 groups of imbalances: Material, Space, Time and Harmony. This approach SIMPLIFIES the whole thing and makes finding the right moves a breeze. 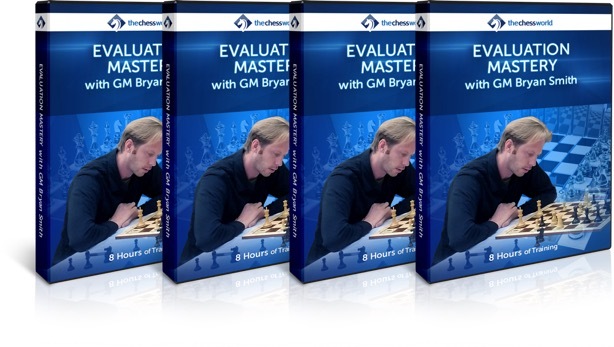 Watch GM Bryan Smith playing live and applying every single principle covered in the Evaluation Mastery. GM Smith annotates the games on-the-fly, sharing his ideas and secrets of success. A must-have for any serious chess player. 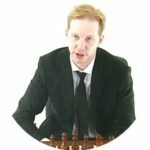 Instant download of the 3-hour video course covering the Master's techniques of accessing chess positions. This is pure gold for any practical player! Instant download of the 3-hour video course covering the Master's techniques of creating a plan. This is pure gold for any practical player! First 100 buyer only. If you've already purchased this course you can get an alternative choice of a comparable value.